Product prices and availability are accurate as of 2019-04-17 08:21:56 EDT and are subject to change. Any price and availability information displayed on http://www.amazon.com/ at the time of purchase will apply to the purchase of this product. 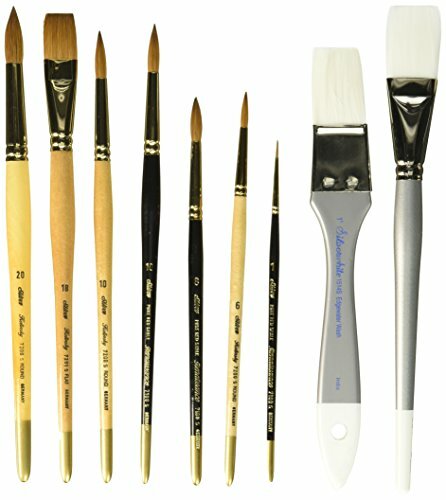 This Everett Raymond Kinstler watercolor brush set is 9-piece brush set. 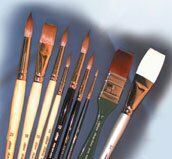 This set contain 9 brushes which includes 1 Silverwhite stroke size 1, 1 each Silver Kolinsky round sizes 6, 10 and 20, 1 Silverwhite edgewater wash size 1, 1 Silver Kolinsky flat size 18 and 1 each Renaissance round, sizes 1, 8 and 10 brushes. Set features Grand Prix bristle, Renaissance pure red sable and Silver Kolinsky sable. 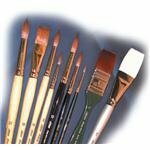 These selections are ideal for painting in the three techniques that Kinstler has mastered and teaches. Comes in short handle. 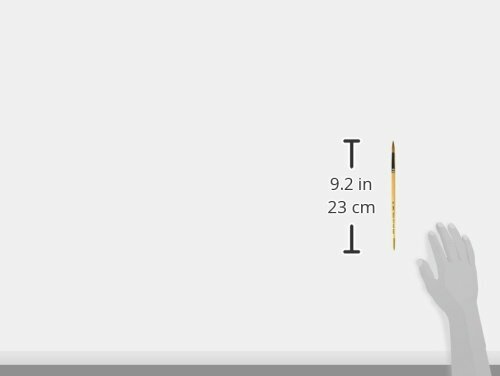 Measures 15-1/4-inch length by 9-inch width by 2-inch height.